Yokogawa has more than 45 years' experience in the development, design, and manufacture of pressure sensors and pressure transmitters. 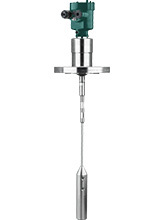 The DPharp series of digital pressure transmitters use a differential pressure high accuracy resonance (DPharp) sensor that represents one of the most revolutionary advances in transmitter technology. Also, we have wide line-ups of Radar, Guided Wave Radar, Ultrasonic to Level Transmitter. These sensors can be adapted to all applications of level measurements by appropriate selections. The new DPharp EJX transmitters are the latest addition to the DPharp family's EJA series. DPharp EJX transmitters employ a next-generation multi-sensing technology that provides virtually the highest level of performance and precision in the market. The sensor measures the distance to the product by running time of the microwave. Liquids and solids are commonly measured with this measuring technique. 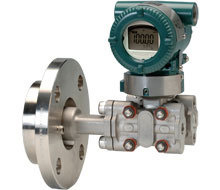 This non-contact level measurement is not influenced by temperature, pressure or product properties. Microwave pulses are conducted along a cable or rod probe and reflected by the product surface. Liquids, solids and separation layers (interfaces) in liquids are commonly measured with this measuring technique. The sensor measures the distance to the product by running time of the ultrasonic pulses. This non-contact ultrasonic level sensors are ideal for simple standard applications, especially for liquids.